In this article, we help you to learn How To Copy Music from MacBook Pro/Air To iPhone by using our best Mac To iPhone Music Transfer software - SyncBird Pro. Make sure you have downloaded the latest version here before continuing. Apple first launched the Macintosh (commonly known as Mac) in 1984 as the first personal computer targeting the consumer market. As of 2018, the line of Apple's Mac computers includes six models - MacBook, MacBook Air, MacBook Pro, Mac Mini, iMac and Mac Pro. Even though Mac was considered as a revolutionary product since it was sold without a programming language, it still have lots of inconveniences. For example, when you want to copy music from your MacBook to your iPhone, the only way is by using iTunes which is complicated and problematic. If you have similar trouble, read this guide to find a perfect solution. iTunes is pre-installed on every MacBook (MacBook Pro, MacBook Air and MacBook). You cannot uninstall iTunes from a Mac since it's one of essential apps for macOS system. The good part is, there are many capable iTunes alternative software, which can help you copy music from your MacBook to your iPhone with a lot of easeness. iTunes - Make sure that you have the latest version of iTunes on your MacBook. It requires iTunes 12.5.1 or later to copy songs from a MacBook to your iPhone. 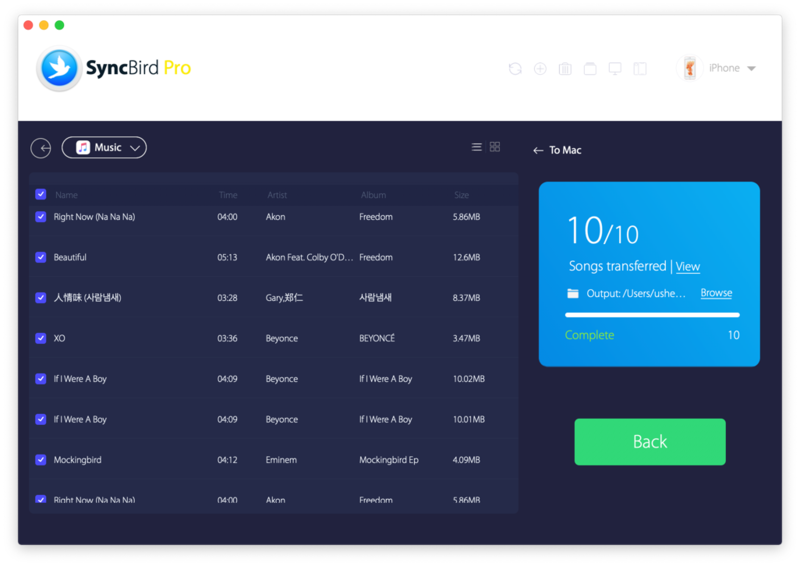 SyncBird Pro - the perfect iTunes alternative software that can transfer your iPhone music to your MacBook just like moving files from one folder to another. You also need a computer and USB cable to connect your iPhone to your MacBook. Before starting to copy music from MacBook To iPhone with iTunes, keep it in mind that this method will overwrite existing songs on your device. It means you can only sync one iPhone/iPad/iPod with ONLY ONE iTunes library. 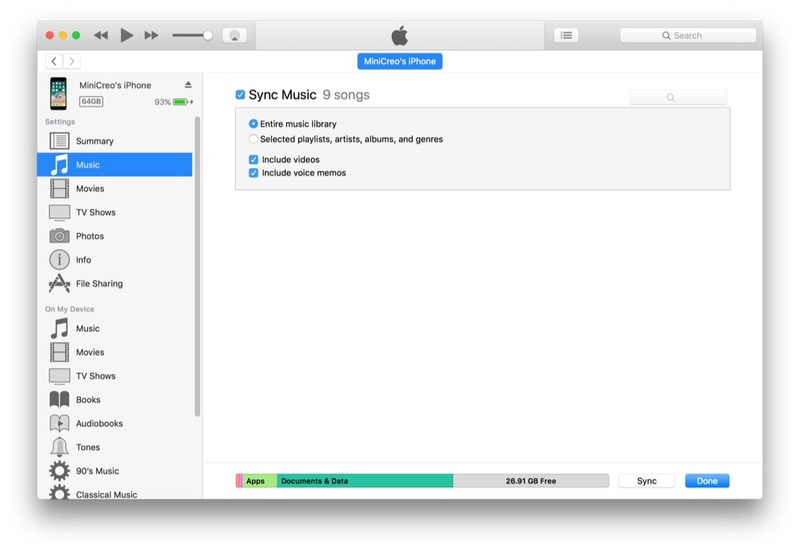 Keep reading if you understand how iTune sync works. Step 1: On your MacBook (MacBook Pro, MacBook Air and MacBook), connect your iPhone with a USB cable and open iTunes. 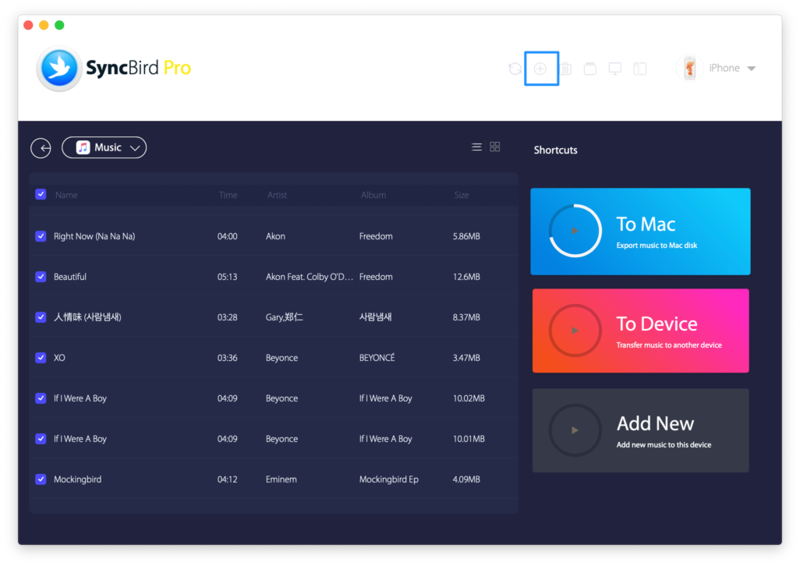 After few minutes, SyncBird Pro will finish copying your music from MacBook to your iPhone. In the complete window, you can see how many songs have been sent. For sure more and more users prefer using Apple Music service instead of old-school iTunes to manage their music content, but at times it's still necessary to add your self-made or downloaded music tracks to your iPhone. 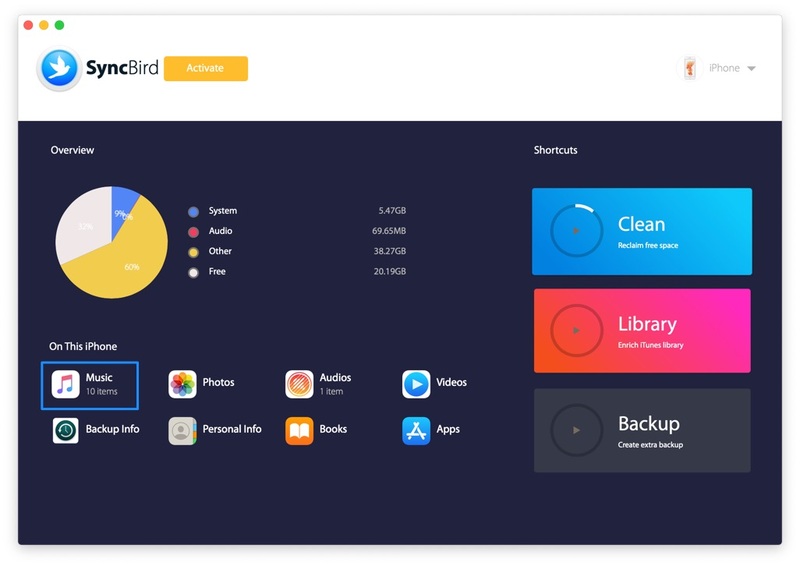 In this case, as a perfect iTunes alternative for macOS, SyncBird Pro is made to help you add/sync your music, photos, videos, podcasts and other iOS content between your iPhone, iPad, iPod and Mac. 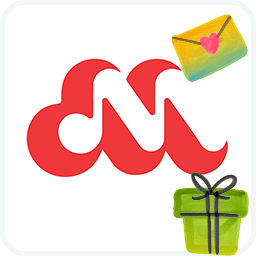 Free Download now to have a try.